It is never sensible to keep all your eggs in one basket! That's why we recommend having at least one other income generation strategy up your sleeve besides property. I'll be honest, I've lost money trading in options before. I just wish I'd known about Sean Allison's cashflow generation strategy. 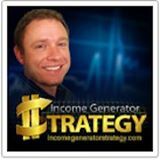 The method he teaches is simple, safe and extremely profitable! "What is options trading, exactly? Well, the most mind-bendingly simple explanation I have ever heard of options trading is one by Sean Allison. You may have heard of options trading before while researching stocks and investments, or perhaps someone you know has mentioned it in the past. However you came across the concept, it is important to understand options trading before you think about trading options or using them as a potential source of additional revenue."